If you want to see the problems of our economic woes, take a simple look at a recent vote in Cedar Rapids on allowing a casino. This is a battle royale of dueling casinos protecting their local monopoly against further competition, while local activists are miffed that the proposed casino in Cedar Rapids is not providing their community with enough free goodies. In Iowa, there are two steps that are needed for a casino. First, the local community must approve it and second, the State gambling commission must approve the license. A community can actually say, “Yeah, give us our right to gamble our life savings away,” and the State can say, “No, you can’t.” On top of that, casinos must provide a minimum of 3% of their earnings to local community projects in addition to paying a licensing fee, which in the case of the Cedar Rapid casino, could be as much as 20 million dollars over a five year period. So what we have is Iowa allowing selected communities the right to set up a local casino monopoly to compete with other forms of local entertainment and give these casinos potential veto rights over other communities to set up their own casinos. Personally, I couldn't care less if Cedar Rapids has a casino or not. However, I did vote for the casino, but not because of the argument of the Pro-Casino forces. There is a libertarian streak in me that views gambling is like any other business. The pro-side talks about jobs gained from the casinos, but what they don’t include is that the casinos will compete with other forms of entertainment from restaurants, bars, movie theatres, and local sports franchises. So the question remains, will the economic argument be that the overall economic pie grows as a result of the casinos, or will there be a reduction of overall businesses in other part of towns including downtown Cedar Rapids? Then there is the problem of increased problem gamblers within the Cedar Rapids market as a Casino will increase temptation to those with gambling problems. Legalize a vice, and you will see an initial uptick of individuals involved in the legalized vice. To deny that increased problems won’t exist is putting one’s head in the sand. The question is, is the overall economic benefit and the cost of law enforcement directed at the vice worth making it legal in Cedar Rapids? Right now, Cedar Rapids' gambling dollars are going to Riverside, a town one hour south of Cedar Rapids, and to the Waterloo area, one hour north. So some of that money will be staying home. Then there is illegal gambling located in Cedar Rapids; so there will be fewer law enforcement resources applied to dealing with this issue. So why vote for it if you are approving a monopoly? The arguments against it are the reason for our economic distress. What we have not heard is a moral reason against depending upon gambling for economic prosperity and a ton of economic reasons against it, most of it wrong. If you want to see crony capitalism and politics of envy in action, this election has provided it. As for the crony capitalism part, the biggest advocates of not allowing the Cedar Rapids casino has come from other casinos. Riverside Casino has provided 1.5 million dollars against the Cedar Rapid casino. Why? Because, Cedar Rapids will take business away from Riverside, and Riverside wants to protect its monopoly as being the main Casino in the Cedar Rapids area. So the question that Cedar Rapids voters are asking themselves is why Riverside be allowed a casino and not us? There is a market out there, and Iowa as a state should not be in the business of guaranteeing the success of casinos. 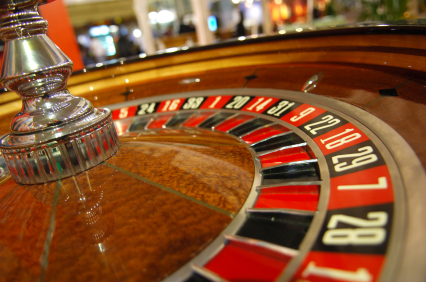 There is the second bad economic reason: casinos must provide money to the local communities. So our investors in Cedar Rapids must pay at least 3% of their earnings to the local community. There is a word to describe this, a bribe to the local community. And there are people who think that this is not enough, and that the investors are “making too much money” off this. Somehow there is a thought that casinos are public utilities designed to support whatever local projects the local community leaders want. No, the casino is a money making operation that is designed to provide a profit. Period. There is no reason that a casino should be forced to pay a 3% surcharge to a community just to exist. And the idea that the investors might get rich? Isn’t that part of capitalism? So why should voters care about what happens on a casino vote in Cedar Rapids? It is not the issue that matters but in the era of Obama, the vote exposes a major trend that is sinking this economy. The first item is crony capitalism, in which government steers business into the direction it wants and companies are willing to seek government subsidies to profit. In the Cedar Rapids vote, the potential Casinos were attacked for only providing 3% of their profits for local projects, and many politicians view business profit, gifts allowed by the State and must be allotted according to the wishes of politicians, whether they live in a state capital or Washington. The second aspect of the vote is how the casino investors were attacked for making profits while not providing enough revenues for local projects. As my wife noted, “Isn’t the purpose of owning a Casino or any business to make money?” The attack on wealth creation proved to be effective in 2012 and somehow, the creation of wealth is no longer a noble cause but viewed as merely theft from others. It is the politics of envy raising its ugly head. The final lesson is how private business seeks favors to protect their interest. During the Cedar Rapids vote, many of the opposition to the casinos were funded by other casinos, who were attempting to squash any rivals to their profit. The battle in Cedar Rapids represents in microcosm what is wrong with our economy. We have political favoritism, combined with attacks on the profit margin, and expectation that the private sector serves the public good as defined by politicians in state capitals and Washington.